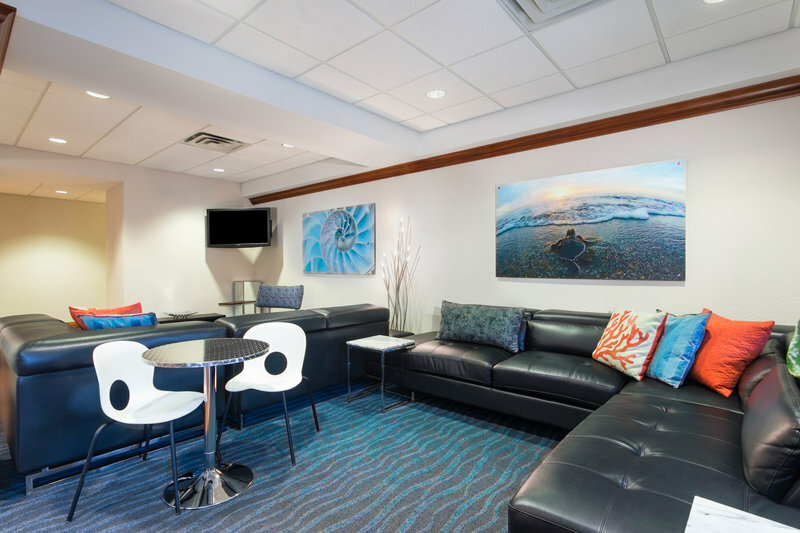 Explore Pinellas Trail From Dunedin, FL Hotel's LocaleEnjoy Florida at its best with the Holiday Inn Express Hotel & Suites Clearwater North / Dunedin. We are the closest hotel to Caladesi Island State Park, named by Dr. Beach as 2008's top beach. As the only hotel along the Pinellas Trail, our guests enjoy a pedestrian-friendly travel experience to award-winning restaurants, attractions and businesses. Tie up your boat at the Edgewater Park marina and walk to this hotel.Baseball fans love that they can walk from this downtown Dunedin, FL hotel's location to Dunedin Stadium, voted a top-five stadium for spring training, to see the Blue Jays in action. We're just a short distance from Brighthouse Field and the Phillies and George M. Steinbrenner Field and the Yankees, too. Tropicana Field in Tampa is 24 miles.Business guests appreciate the hotel's location near Clearwater and being minutes from Coca-Cola, Baycare Hospitals, Mortan Plant, Mease Dunedin and Mease Countryside. Corporate guests benefit from our priority in accommodating our business travelers and the offer of free meeting space for larger corporate groups.Combining a waterside community, urban fun and exceptional amenities, this Dunedin hotel's guests fall in love with "Delightful Dunedin." The beautiful, heated outdoor pool and hot tub, Fitness and Business centers and the free, hot breakfast bar make each day brighter. Start planning your trip to Dunedin, Florida. See the movie, wander the museum, and learn about our blobby squishy friend, the natural sponge. America's largest dinosaur theme park infests a real swamp.